Who is the best FX Broker? As you are reading this, you may be thinking, ‘these guys at Forest Park FX don’t know what they are talking about, the best FX broker is clearly __________.’ And you would be right…and you would be wrong. For you and your circumstances, the Forex broker you are using may be the best one, but not necessarily for someone else. Think of it this way, many people contend that Adrian Peterson is the best running back in the NFL…but he’s never been a great pass-catching running back. If your offensive coordinator is a pass-minded coach, then AP might not be the best running back for your system. With what Forex trading platform am I most comfortable? What FX platform works best for entering my orders? Which FX broker offers the best spreads? Should I be trading on tighter spreads with commission or wider spreads without commission? Should I have a dealing-desk account or a non-dealing desk account? ECN or STP? Am I running an Expert Advisor or other algorithm? Do I need FIX connectivity or a VPS? What is the rebate I can receive from Forest Park FX on my trading? Until we understand our clients’ needs and objects we can’t say which Forex broker is the right one for them. This is why we undergo a free, consultative approach with each client to help them choose the Forex broker that will best help them go green. 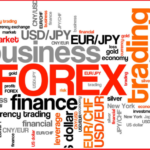 With all of that being said, which Forex broker do you think is the best and why?